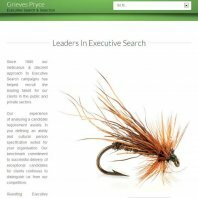 Grieves Pryce, the parent site of www.professionalcvexperts.co.uk, has been updated to a responsive design that allows users with tablets or mobiles to navigate the site with ease. Quite possibly the first recruitment site in the UK to move to this type of format? We have also had a little rethink around some of the images that we have used to help separate us from your run of the mill picture of models pretending to Executives standing in a huddle looking important. Hopefully, we can stand out just a little more and for the right reasons. We are always interested to know what people think so please take a look and let us know what you think. Click Executive Search (opens in new window) to view the site.